مدار ۵۰ درجه شمالی، دایره‌ای از عرض جغرافیایی است که در ۵۰ درجهٔ شمالی خط استوا قرار دارد. 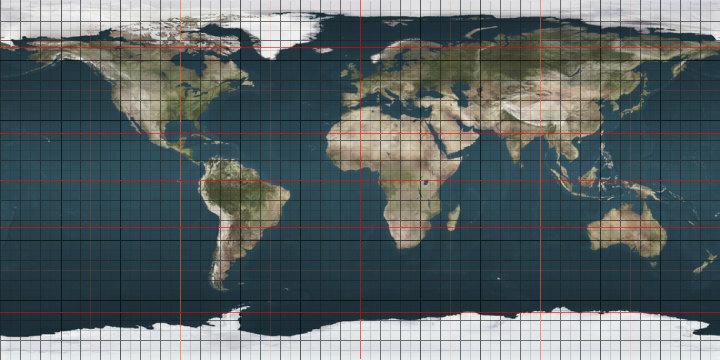 The 50th parallel north is a circle of latitude that is 50 degrees north of the Earth's equatorial plane. It crosses Europe, Asia, the Pacific Ocean, North America, and the Atlantic Ocean. At this latitude the sun is visible for 16 hours, 22 minutes during the summer solstice and 8 hours, 4 minutes during the winter solstice. The maximum altitude of the sun on the summer solstice is 63.5 degrees and on the winter solstice it is 16.5 degrees. 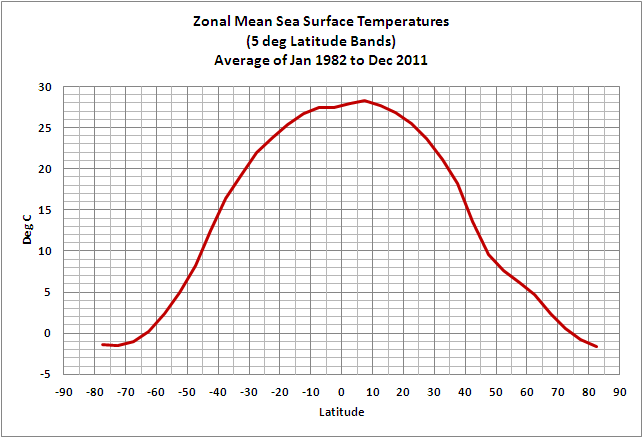 At this latitude, the average sea surface temperature between 1982 and 2011 was about 8.5°C (47.3°F). Sakhalin island has historically been Russian territory. 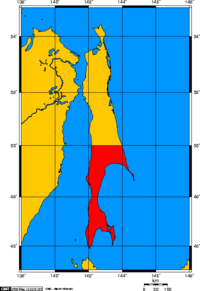 As a result of the 1905 Treaty of Portsmouth that brought an end to the Russo-Japanese War, the portion of the island south of the 50th parallel line became Japanese territory, part of Karafuto Prefecture. However, following the month long Soviet–Japanese War during the summer of 1945, the entire island was reunified under Soviet control. ^ "Earth-Sun geometry - The Encyclopedia of Earth". www.eoearth.org. ^ Sevela, Mariya. "Sakhalin: the Japanese Under Soviet Rule". History Today. Retrieved 10 May 2014. Wikimedia Commons has media related to 50th parallel north. این صفحه آخرین‌بار در ‏۸ آوریل ۲۰۱۸ ساعت ‏۰۳:۰۹ ویرایش شده‌است.